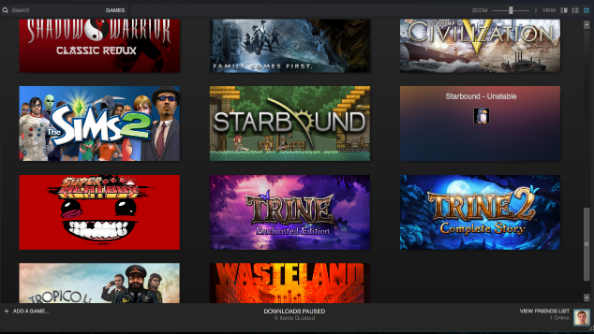 How do you add non-Steam games to your Steam library? Steam’s library system is streamlined and easy to use provided you don’t subsist on Uplay points or posses a wealth of DRM-free gems. 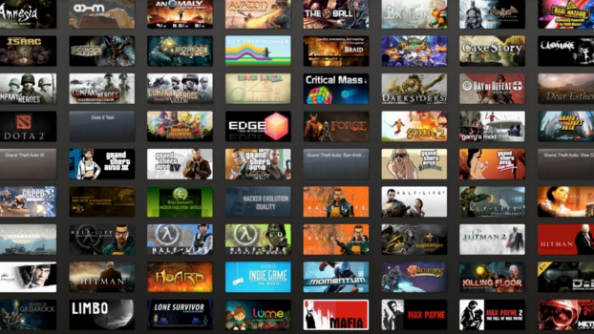 However, if your games collection is beginning to escape your immediate grasp, there is a way to launch all of your games through Steam. 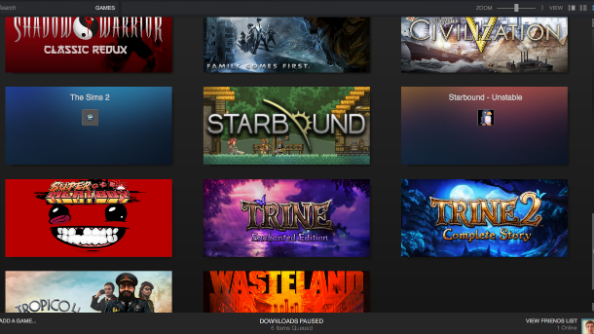 Looking to perfect that Steam library? Check out the best games on PC. Open up Steam – it’s already open, isn’t it? – and go to the ‘My Library’ tab. Now go to the bottom of the page and click on the ‘+ Add a Game’ link. For obvious reasons, you’ll want to pursue the ‘Add a Non-Steam Game’ route. Easy as pie. You should now be looking at a new window in fear, wondering what’s going on because you’ve stopped paying attention to this guide. PAY ATTENTION TO THE GUIDE. The window that’s popped up will have a full list of the games and applications that you have installed on your PC. 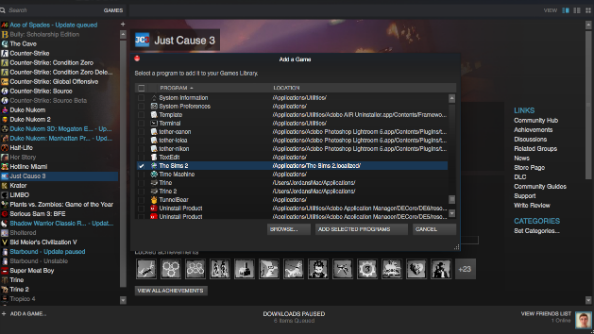 Select the games you want on your Steam library and then click ‘Add Selected Programs’. Voila! The applications you selected should now appear in your Steam library. Remember, you can add any applications you want, this method just adds a shortcut for launching them through Steam. Whether it’s a Pokemon emulator or FRAPS, you can keep any application on your Steam library provided you’re willing to put up with the lack of official artwork, which we’re coming to.. 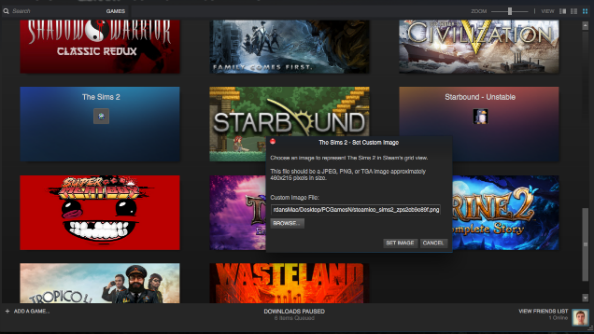 Unless your game had an icon and tile image that was embedded in the executable, you’ll likely be staring through a red mist at what is now an IMPERFECT Steam library page. All those glorious tiles featuring artwork from your favourite games, tarnished by an imposturous non-Steam game, parading around in a generic, auto-populated tile. The audacity of it. You’ll need to make up a 256×256 pixel icon and a 460×215 pixel tile for any game or application you want to add, and putting these together beforehand will make the whole process much easier. So do that. Do check the application’s files for icon images, though if you’d rather source your own then a quick Google search should provide plenty of alternatives that should only require a simple crop in any online editor such as Pixlr or fotor. In desktop mode, change your view to ‘Detail View’ and find your newly added game in the left-hand list and right-click on it. Select ‘Properties’, then click on ‘Choose Icon…’. Now you’ll have to find the icon, which means sifting through every cat .gif and regrettably named file on your hard drive. Found it? Click ‘Open’. The process is largely the same for setting up your own tile images. For this part you’ll want to find the existing tile for the game in ‘Grid View’ and right-click on it, selecting ‘Set Custom Image…’ from the menu. Use the ‘Browse’ option and once again comb through all those cat .gifs, stopping to watch some of your favourites along the way, then hit ‘Set Image…’ and you’re done. Spend the time searching for the right images and you’ll have a beautiful Steam library full of non-Steam gems. Helpful? Anything missing? Let us know how you’ve gotten on in the comments below.